The development, implementation, and enforcement of innovative vessel biofouling and vessel ballast water management strategies and polices. The use of best available technology and peer reviewed science. Partnerships with stakeholders to improve awareness of invasive species issues and assess program efficacy. The California Legislature established the Marine Invasive Species Program in 1999 to address the threat of species introductions from vessels arriving at California’s ports. In 2003, the Marine Invasive Species Act reauthorized and expanded the Program. Subsequent amendments to the Act further expanded the Program’s scope. The Marine Invasive Species Program works to prevent new species introductions by implementing vessel ballast water and biofouling management regulations that are authorized by the Marine Invasive Species Act. These regulations apply to vessels that are 300 gross registered tons or more and capable of carrying ballast water. The Marine Invasive Species Program is funded through a $1,000 fee on qualifying vessel voyage arrivals (Public Resources Code, § 71215). The fee is collected by the California Department of Tax and Fee Administration. Nonindigenous species are organisms that pose significant threats to human health, the economy, and the environment. Nonindigenous species are intentionally or unintentionally transported through human activities to new habitats such as California’s marine, estuarine, and freshwater environments. Once a nonindigenous species is moved, becomes established in a new in geographic location, and causes impacts, it is considered an invasive species. In coastal aquatic habitats, commercial shipping’s ballast vessel water and biofouling are two of the most significant invasive species vectors. Prevention of species introductions through vector management is considered the most effective way to address invasive species because, once established, attempts to eradicate invasive are often unsuccessful and costly. As vessel move throughout the world, they can discharge ballast water and introduce any nonindigenous species that were in the ballast water source. It is estimated that ballast water moves more than 7,000 species around the world on a daily basis (Carlton 1999) with a single vessel ballast water discharge having the potential to release over 21.2 million individual planktonic animals (Minton et al. 2005). Vessels may load, discharge, or redistribute ballast water during cargo loading and unloading, as they encounter rough seas, or as they transit through shallow coastal waterways. Vessels can carry biofouling as they move throughout the world. 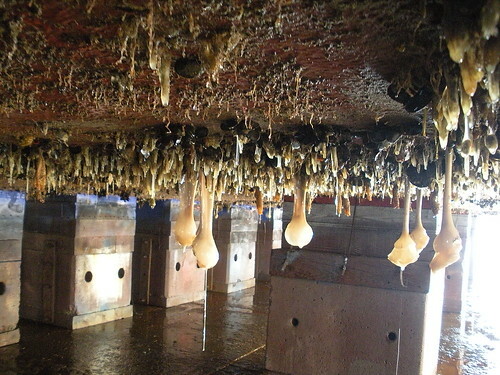 As vessels move, biofouling organisms can spawn (reproduce) or drop off a vessel resulting in the introduction of NIS. Vessel biofouling is considered one of the most significant vectors for marine nonindigenous species introductions in several regions, including Australia, North America, Hawaii, the North Sea, and California (Ruiz et al. 2000a, 2011, Eldredge and Carlton 2002, Gollasch 2002). Vessel biofouling is an organism or a community of organisms that are attached to or associated with a vessel’s hard surfaces that are wet or underwater. Vessel biofouling includes attached organisms such as barnacles, algae, and mussels, and also includes organisms that associate with the attached organisms such as worms, crabs, and amphipods (small shrimp-like animals).